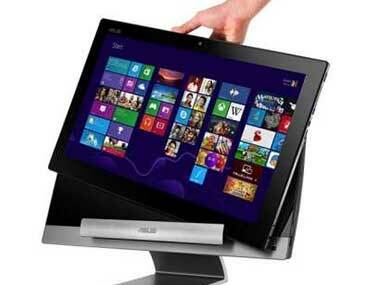 Asus has launched its dual-booting Transformer AiO P1801 touchscreen all-in-one (AIO) in India for 86,999. The PC-tablet combo with with the Core i3 processor ships for Rs 86,999 for the model, while the Core i5 processor model costs Rs 92,999. When docked, this AiO is a Windows 8 PC, complete with dual-core (or quad-core) Intel Ivy Bridge CPUs. But remove it from the dock and it turns into an Android tablet!